Clear Span 3/12 Pitch Engineered Trusses. 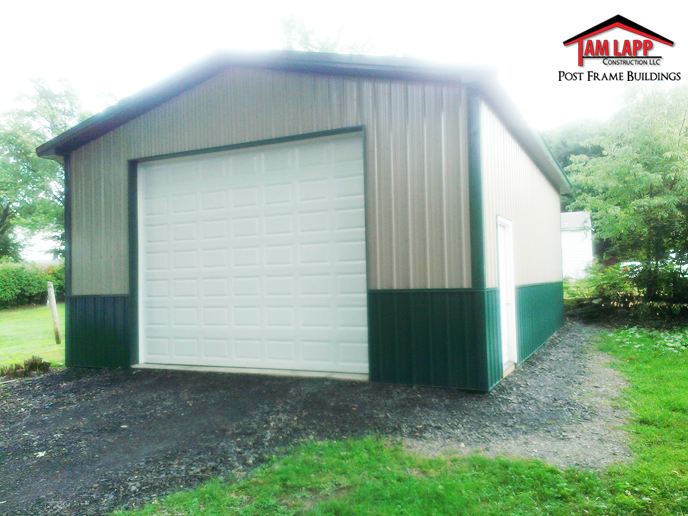 Roofing & Siding: Painted 29 GA. 40 Year Metal Roof and Sides with Trim Package. Roof Overhangs: Overhang boxed-in w/ white vinyl soffit w/ painted fascia trim: 12″ Sidewalls, 12″ End Gables. 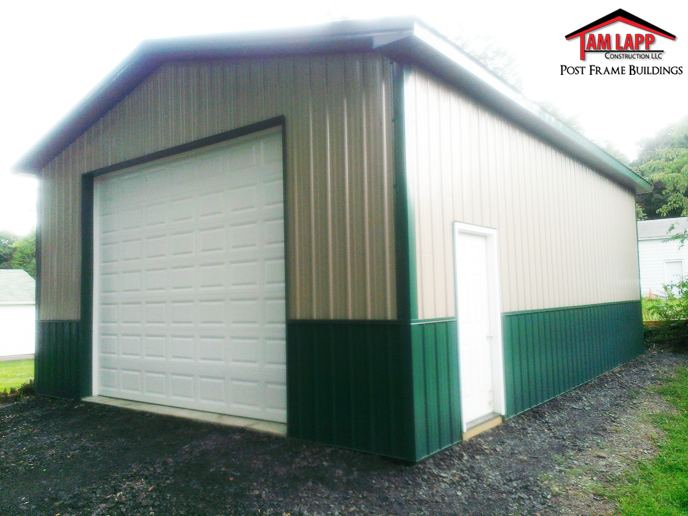 Garage Doors: (1) 10’W x 10’H White, Insulated w/ Inside Locks. Colors: Evergreen Roof & Trim, Clay Siding. THANKS for all of your help. Attached are photos, sorry it took so long. Please share with Tam. We are very pleased with our building. It was a pleasure to do business with you.